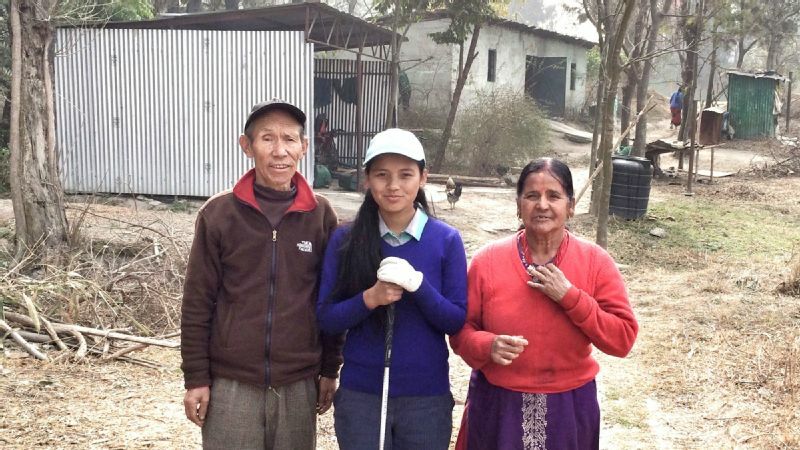 Pratima Sherpa, 18, lives in a shed by the fourth tee of the Royal Nepal Golf Club with her father, Pasang Tsering, and mother, Kalpana. KATHMANDU, Nepal -- At rush hour, the road from Tribhuvan International Airport to the center of Nepal's capital city is not merely noisy, but cacophonous. Trucks and tuk-tuks, cars and carts, motorbikes and scooters, minibuses and vividly colored, jam-packed big buses vie for every single inch of the potholed surface. Engines rumble, horns honk, fumes choke the air and dust filters the hazy sun. It's a vibrating racket, just about the last place on earth you would associate with the sport of golf, and yet, a mere lob wedge away from it all is the fourth hole at Royal Nepal Golf Club. There, in a dip behind the tee box is a greenkeeping shed. In the shed is a small room. And in the room is a girl. A girl called Pratima Sherpa. In many ways, Royal Nepal Golf Club is just like every other golf club in the world. It has a clubhouse, a pro shop and a putting green. It has eager caddies looking for a bag, hungry juniors smacking range balls and cliquey businessmen topping tee shots. It's also unlike any other golf club you've ever seen. The range? It's also the ninth fairway. That ball you lost in the rough? It might have been taken by the monkeys (and be grateful if it has; a no-show from the primates is a strong hint that there's a leopard nearby). But the biggest contrast to elsewhere? The greenkeeping staff is not only unusually large in number (more than 75 in total), it also includes teams of colorfully dressed ladies who hand-pick -- yes, hand-pick -- the greens and the fairways and the rough. 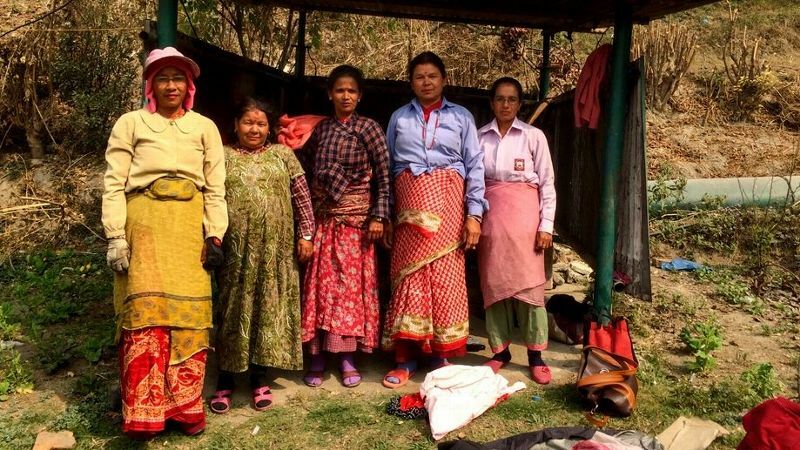 One of those ladies is Pratima's mother, Kalpana, who met her husband, Pasang Tsering, a greenkeeper, while working at the course. Together with their 18-year-old daughter, they live in that hut by the fourth tee. As a child, Pratima would improvise her own clubs with sticks, hitting balls she had hunted down in the rough with a swing she copied from the golfers. Eventually, she caught the attention of teaching professional Sachin Bhattarai, who was impressed by her passion as much as her swing. With real clubs in her hands, Pratima quickly became a range rat and discovered the joy of tackling the course she had lived her whole life on. The dream was taking hold. The greenkeeping staff at the Royal Nepal Golf Club includes teams of women who hand-pick the greens, fairways and rough. Nepal has approximately 700 registered golfers, about 90 of them are professionals (in reality, this means caddies), yet there is no tradition of them competing beyond the Himalayas, and none has yet played on the Asian Tour. This situation is common to the sporting landscape. The country is yet to win an Olympic medal. Soccer is popular but mostly as a spectator sport of teams in far-off Europe. And while cricket is gaining popularity, the national team remains a minnow on the worldwide stage. The society is mostly traditional. Women take conventional roles and are rarely seen behind the wheel of any vehicle. In these circumstances, it's not too surprising that not one of Nepal's golf professionals is female. Pratima knows all of this. She understands that to fulfill her dream she must overcome historical, sporting and gender expectations. Yet ask if she wants to play on tour and her response is beautifully simple, as a wide, instinctive smile lights up her face and she says one word: "Yes." Pratima offers hope for the women who work at the club, playing a game they spend most of their lives allowing others to play. It is a peculiarity of Kathmandu that time and again you find yourself stepping just a short distance from the riotous din of the streets into the calm of a garden, a temple or a holy square. Six days a week, Pratima takes a one-hour bus journey to and from school before returning to her own sanctuary. On the fringes of the course, next to the wire fence that surrounds it, the frenzy of the city continues; but take a few steps inward and silence descends. 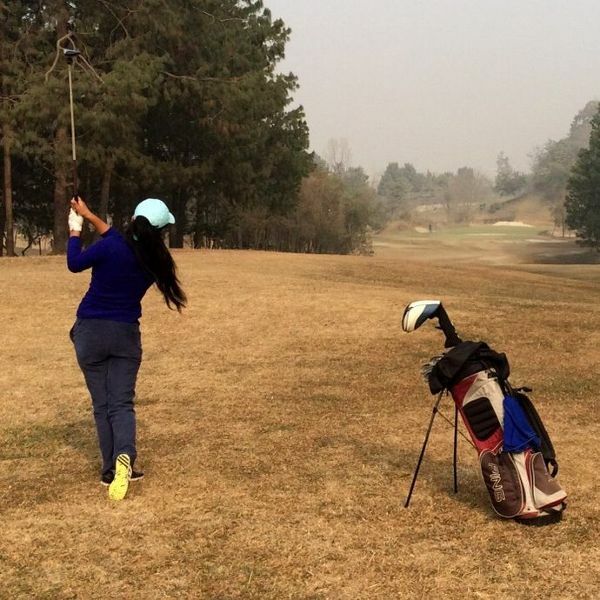 To spend a few hours walking the fairways with Pratima is to witness something magical at play. It's not so much her golf, which is good, but her impact on others. It's seen in the gaze of those ladies in saris -- when you watch them watching her. On the one hand, they see their friend's daughter, the fun-loving girl they joke with. On the other, there is clear wonder, because she has crossed a divide; she is playing the game they spend most of their lives allowing others to play. It's seen in the actions of Bhattarai, who has always coached Pratima for free, who has persuaded members to donate clubs and whose quiet manner cannot hide how much he enjoys teaching the game to such a willing learner. It's seen in the admiring nods of my caddie, Prakesh, who shouts advice and goads her, but who also whispers: "She is good, sir, very good golfer." In 2015, Royal Nepal Golf Club became a sanctuary of another kind entirely. Shortly before midday on Saturday, April 25, the country was rocked by a severe earthquake that left over 9,000 people dead, more than 22,000 injured and hundreds of thousands homeless. The devastation remains apparent nearly two years later, and yet the Nepali people refer to it as a "kind" earthquake, because the collapse of thousands of schools would have been devastating on a weekday. The golf course welcomed those who had lost their homes. Tents were erected across the property. Photographs from the shelters show confused faces but are accompanied by messages that read, with telling simplicity: "Safe." Pratima looks forward to graduating from high school so she will have more time to hone her golf game. In common with many locals, Pratima's memories of that day have less to do with the quake itself than the moments afterward. "I remember a lot of helicopters," she says. "I remember everyone out in the street. I remember the noise of alarms." Some of the tented villages remain in Kathmandu, but the golf course resumed normality, and Pratima returned to action, qualifying for two Nick Faldo Junior Series events in China. There was, however, a problem: The girl who lives on the golf course next to the airport, the girl who watches airplanes depart to far-off lands every single day, doesn't have a passport. Her father has no birth certificate, and without one, Pratima's quest for papers dropped into a deep administrative water hazard. When the members heard, one -- an American -- offered to adopt her. Pratima laughs at the idea. "It was nice," she says, "but I am Nepali. I want to get a Nepali passport." Instead, the members -- as they have done with so many aspects of her game -- offered simpler support. She expects to have a passport by the end of this month. Soon afterward, she will graduate from high school. She and Bhattarai are excited: more time to hone the game. The dream is ready to fly. One Sherpa was not enough for this story. Pratima is one by name; the other, New Yorker Oliver Horovitz, is a sherpa by nature. Horovitz studied at St Andrews University, and during his time there he joined the ranks of Old Course caddies. He carries bags, he imparts wisdom, he offers advice and encouragement -- a golfing version of what Nepali sherpas have become famous for around the world when visitors trek the Himalayas. Every October, Horovitz returns to the old town to caddie for rock star Huey Lewis in the European Tour's Alfred Dunhill Links Championship. In the past, he has carried the bag of comedy legend Larry David. And one time, he was in the same group as Rory McIlroy. In other words, Horovitz has caddied at the home of golf, for some of the most famous men on the planet and alongside a one-time world No. 1. But his favorite experience as a caddie? "Simple," he says. 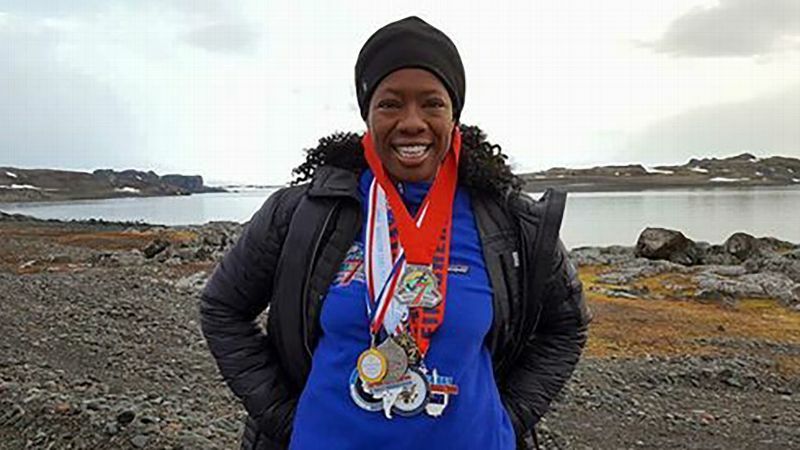 "The day I caddied for Pratima -- one of the best days of my life." When Horovitz played Royal Nepal in 2016, he discovered the members were insistent on one subject: "You have to meet Pratima." Doing so blew him away. "We're on the fourth green, and as she's putting, people are passing us on the street," he explains. 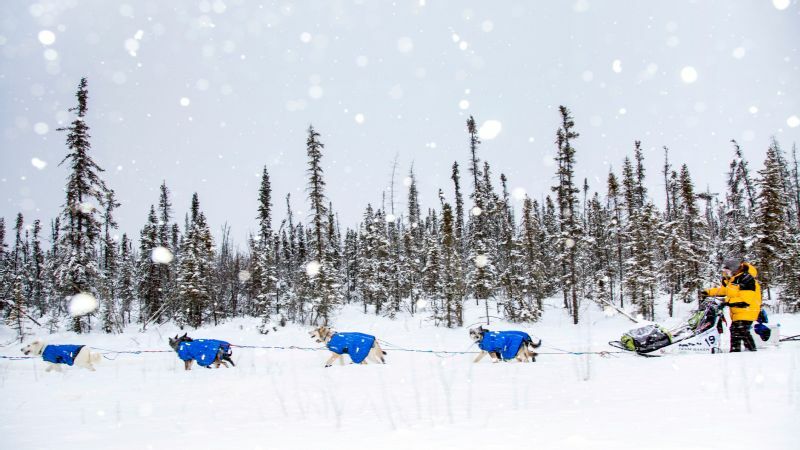 "They're stopping and hugging the fence as they look through at what we're doing. Getting to help Pratima, getting to share her story, getting to do a small bit of good -- it just feels so nice. It's been wonderful to witness the outpouring of support from golfers around the world. "What they're seeing is a local girl playing golf and an American guy carrying her bag. They've never seen that before. That moment was totally cool. "It made me think: This means something. You could see that it clicked as they watched. It was transformative for me. She has a chance to inspire a whole generation of girls in Nepal, to really make an impact." Horovitz is a bold enthusiast by nature, and Pratima's quest has captured his heart, revealed as his deep New York boom cracks when he talks about her. "Totally," he admits. "When I went to Nepal, I expected new adventures, but I never expected to be inspired like this. Pratima Sherpa is my hero. She works so hard; her spirit is incredible. I think we can all learn from her." Horovitz returned to the States and set up TeamPratima.com, a fundraiser to assist with her ambitions. "Getting to help Pratima, getting to share her story, getting to do a small bit of good -- it just feels so nice," he says. "It's been wonderful to witness the outpouring of support from golfers around the world. It reminds you that the world can really be good. 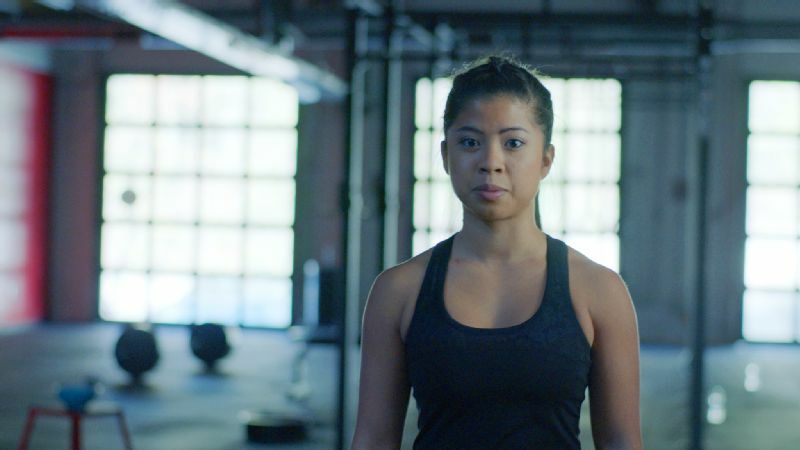 "You'd love to think she has a chance to represent Nepal in the 2020 Olympics. I think she's got a real chance. She has a high ceiling. She's chipping balls in torrential monsoon rains. She's trying every day to improve." The far corner of Royal Nepal Golf Club is where everything comes together. The road rumbles ever on behind the fifth tee; a dirt track emerges from the jungle behind the green, sand billowing behind freight trucks and tractors. Food sizzles on stoves set up by street vendors; tourists, mourners and holy men (smeared with ash and paint) head through the entrance to the Hindu cremation site of Pashupatinath, smoke from it twisting into the sky far beyond the sixth green. Pratima proudly shows off her letter from Tiger Woods. Pratima has the honor, and the green is a tiny target. Anything short will sink into deep scrub; anything long will fly into jungle. The putting surface is above the tee box, bone hard and about eight paces deep. Under the scrutiny of three passers-by, her ball flies straight to the heart of the green and stays there. The shot of a golfer. "That's the shot," I bark in a deep New York accent, imitating Oliver's favorite caddie response. Pratima bursts out laughing. My ball also hits the green but fails to hold it. I look hopefully at caddie Prakesh, who shakes his head and chuckles: "Jungle." Later, after she has drained an outrageous, double-breaking 45-foot putt for birdie on another par-3, Pratima takes me to her home, where her parents greet me in the traditional Nepali style: hands pressed together, fingers pointing high, a bow, "Namaste" and shy smiles all round. Pratima takes me inside to see her trophy cabinet, and we joke about how full it is. "Did you know I have a letter from Tiger Woods?" she asks. Her head falls back as she laughs: "Really! Let me show you." I read the letter and then cannot resist it: "That's the shot!" I repeat, deeper, louder, more New York and Horovitz than ever before. Pratima falls through the door laughing. Outside, she introduces me to the chickens. Her favorite goat dances for her, but not for me. I suddenly wonder what her school friends make of golf. "They came to see me in a tournament one time," she says, entertained by the memory, "but I don't think they understood. They want to try putting, though. They think they can do that." I ask who she admires in the ladies game. "Lydia Ko." I ask what makes her happy. "Hitting balls." I ask what she'll be doing in three months' time. She laughs again. "Hitting balls in the monsoon rains." Pratima has her dream, but she's not a dreamer. 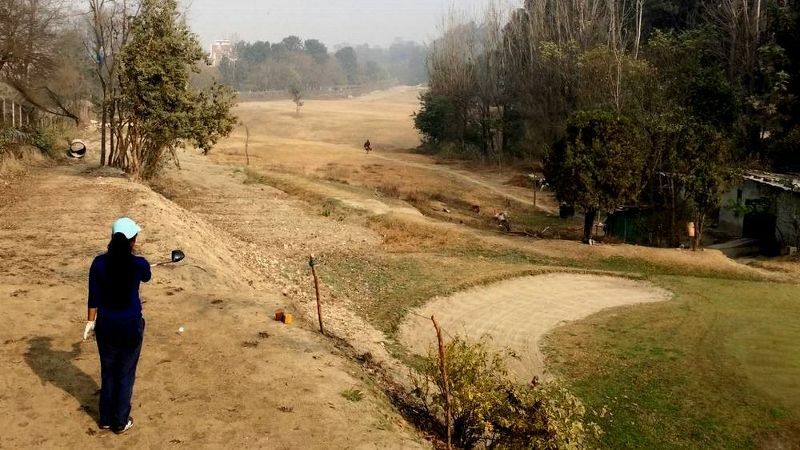 On my last day, I take a cab to the airport, and as I pass Royal Nepal Golf Club one final time, I hang my head out the window, heedless of the dust and fumes, peering through the fence toward the greenkeeping shed. I see Pratima's mom tending to the washing and her dad feeding the goats, but no Pratima. Not at home, I think. Then we pass the range, and I spot her. She's hitting balls. She's at home, all right. A girl who knows she needs to work at it. For more information, or to support Pratima's journey, visit TeamPratima.com.